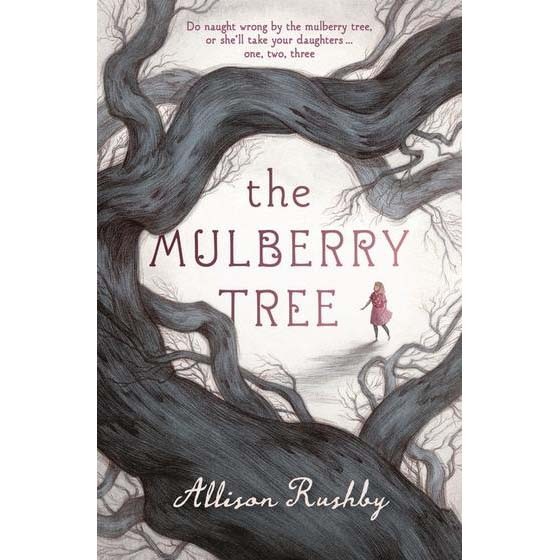 A captivating, spooky mystery for middle-grade readers from acclaimed author Allison Rushby. Do naught wrong by the mulberry tree, or she’ll take your daughters… one, two, three. Ten-year-old Immy and her family run away from their storm cloud of problems to a tiny village in Cambridgeshire, England. When they find an adorable thatched cottage to begin a perfect new life in, the only downside is the ancient, dark and fierce-looking mulberry tree in the back garden. And the legend that comes with it – the villagers say the tree steals away girls living in the cottage on the eve of their eleventh birthday. Of course, Immy thinks this is ridiculous. Then she starts to hear a strange song in her head… Allison Rushby’s new novel for middle-grade readers is a captivating, spooky mystery. This is a fantastic follow-up for the same middle-grade audience (9+) as Allison’s recent book, The Turnkey. This story has all the great things about novels for this age group: a big mystery, the worries of starting at a new school, being embarrassed by your parents and meeting new friends. This novel also deals with big themes about empathy, friendship and depression.